Usually when one thinks about a lake one instantly thinks of the blue or green color. Definitely, one doesn’t think about a pink color. Pink lakes do exist and are a fascinating natural phenomenon that can be admired in many countries like: Canada, Spain, Australia, Azerbaijan. 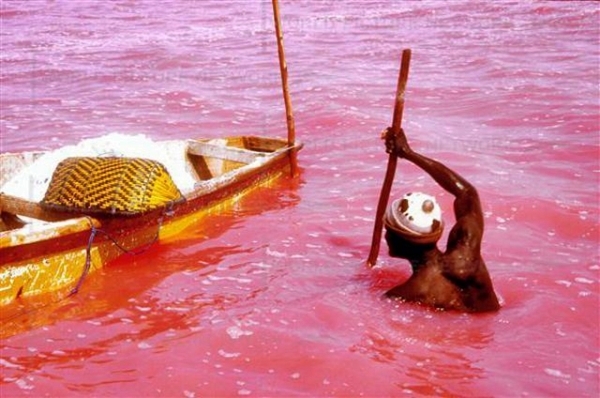 Among the most known pink lakes in the world is Lake Retba located in Senegal, Africa, north-east of Dakar. Lake Retba is covering an area of about 3 square km. 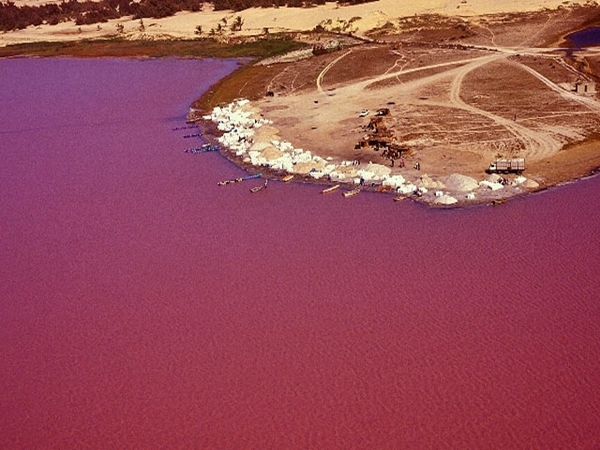 The pink lake is surrounded by desert and the pristine white hills of salt. Only few small farms plots add green spots into the amazing scenery. 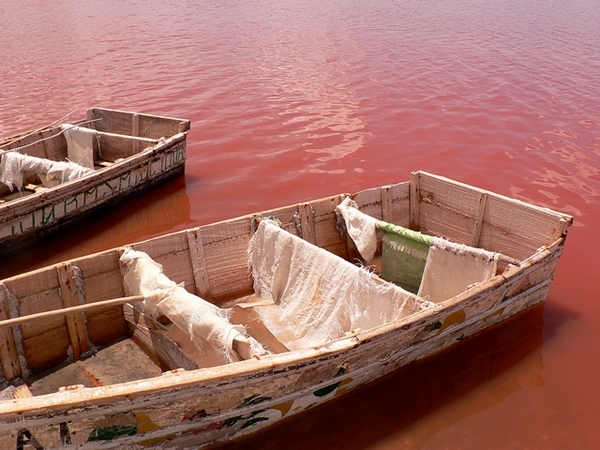 Lake Retba is also called Lac Rose in French, which is the official language of the country. The lake has as much as 40% salt concentration, which is higher than Dead Sea salt concentration. 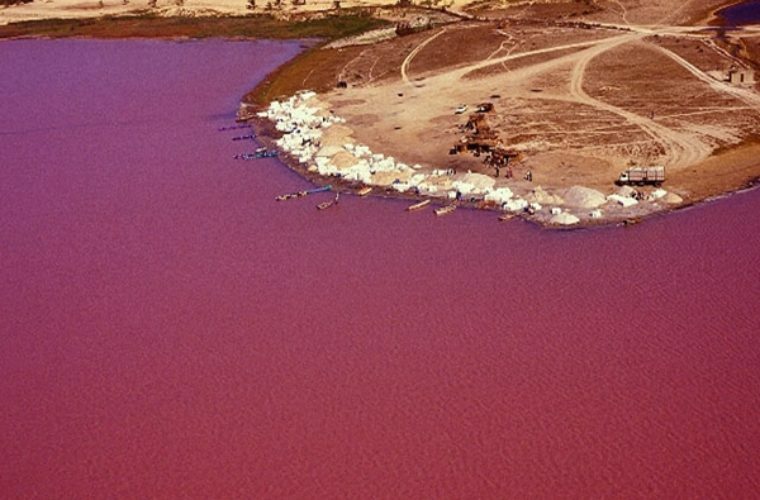 The color pink is caused by a salt-loving microorganism: the Dunaliella salina algae. This algae produces a pigment from a very pale pink to deep red pink. The algae is completely harmless to humans. The best season to visit and see a wonderful color of the lake is usually the dry season which lasts from November to June. During the dry season there is a higher level of salt in the water which creates the best medium for the algae to produce the pigment. Lake Retba has its candidature pending to become a UNESCO World Heritage Site. Senegal is one of the most underdeveloped countries in Western Africa. Tourism is gradually becoming an important resource for its economy. 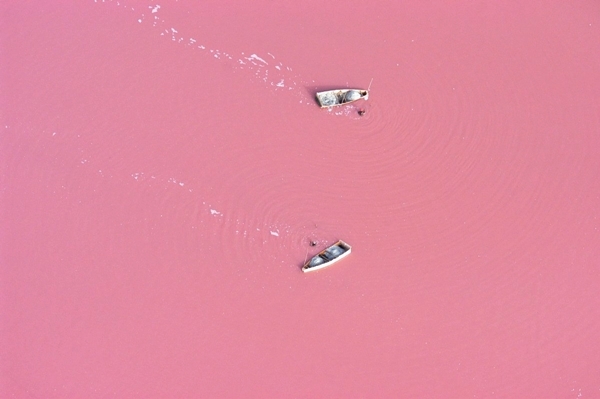 The pink lake is getting an increased popularity among tourist destinations. This is reflected in the existence of few hotels that are located near the shoreline. Some of the resorts have very good conditions with swimming pools, internet wireless, hot tubs, individual cottages etc. Lake Retba is about 35 km north of Dakar and is still associated with the famous Paris-Dakar rally, that used to have the end point near the lake. Unfortunately for the local tourist business, the rally was relocated to South America in 2009 due to dangerous travel conditions in the area. 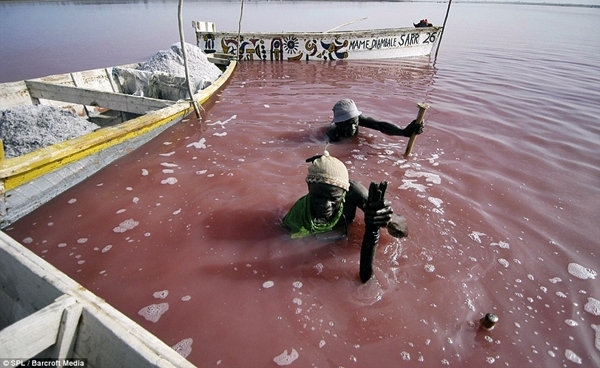 Lake Retba is appreciated by tourists for its pink color , but locals appreciate it more for its resources. 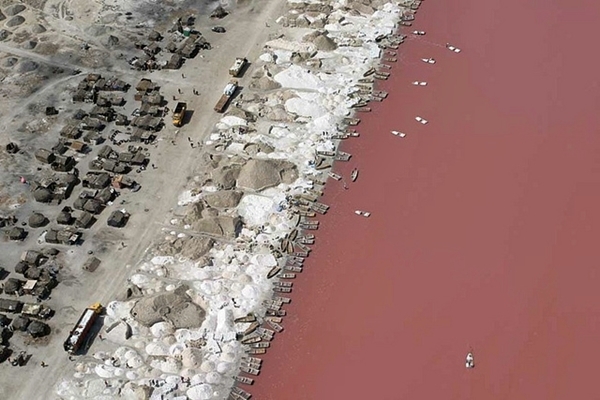 Due to the high level of salinity there are no fish in the lake, but salt extraction is a real industry since the 1970s. Senegal is the largest salt producer in West Africa. Sadly and ironically iodine deficiency is a major problem in Senegal. To extract the salt locals scrape the bottom of the lake and then collects the salt in baskets. Because they spend more than 7 hours in the salted water, locals protect their skin with shea butter.